This is one of those books where the synopsis sounds generic, but there is good reason for it. Saying anymore would give everything away. So stick with me. "Parker Sante hasn’t spoken a word in five years. While his classmates plan for bright futures, he drifts along, hanging out in hotels, watching the guests. But when he meets a silver-haired girl named Zelda Toth, a girl who claims to be quite a bit older than she looks, he’ll discover there might be a few things left worth living for." 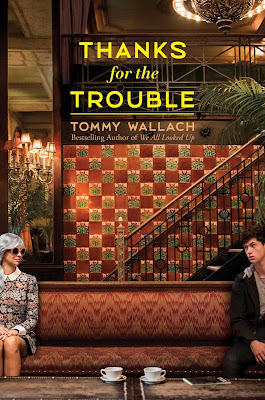 I admit that “We All Looked Up”, Wallach’s debut novel wasn’t really my jam for a lot of reasons. But he’s still a great writer, and I listened to one of his songs and liked that too. 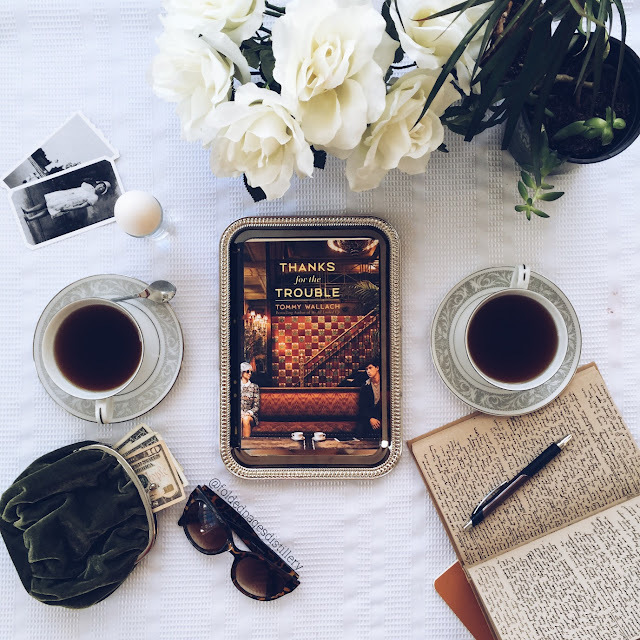 Both good reasons to give “Thanks for the Trouble” a go, in my opinion. 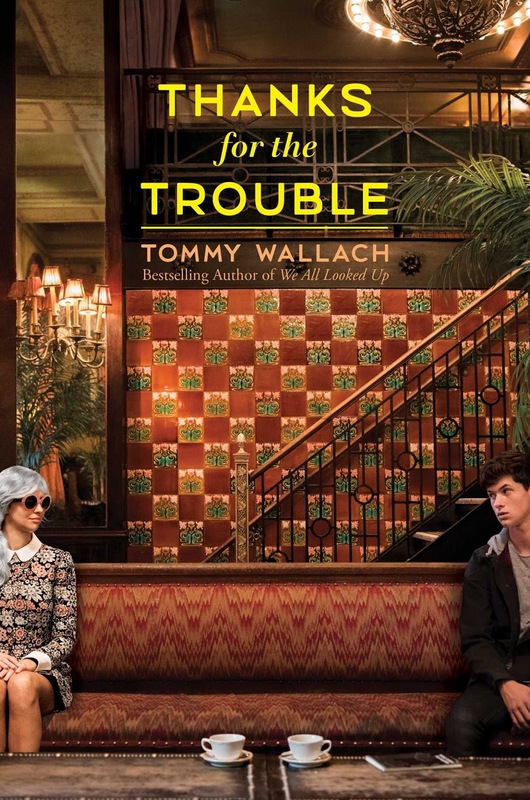 “Thanks for the Trouble” was random, full of tangents, weird, extremely thought-provoking, funny, honest, and the plot was very much like stories I’ve read before, but not quite like anything I’ve read before. Like I said, it’s the Wallach touch that makes this. So what am I trying to say? I enjoyed this immensely. It’s a fast read and it’s a really weird read, but it made me laugh unexpectedly many times and it was just what I needed. I thought Zelda and Parker were totally authentic characters and I thought this story traveled an honest path. Wallach is 1 for 1 with me now. Very much looking forward to his next work. Check the link below to win a “Thanks for the Trouble” prize pack, including: hardcover edition of TFTT, a journal, pair of sunglass (as seen on Zelda on the cover) Open to US only, closes March 15.